Ms Wuan-ling Guo has been working in the TV industry for more than 20 years. Spending almost ten years on international news production, she was producer of international news programs at Public Television Service (PTS), and her program was shortlisted for Excellent Journalism Award in Taiwan. Later she served as producer of talk shows and internationally co-produced documentaries. Her work was screened at Berlin International Film Festival, and has received Best Long Documentary Award at International Gold Panda Documentary Festival in Sichuan, China. 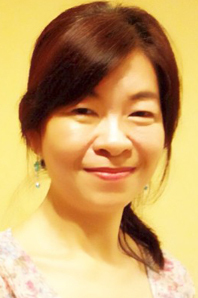 She has also been the curator and director for Taiwan International Children’s Film Festival (TICFF) since 2013 and her experience with children’s films has been widely expanded since then. She has served as the judge for Asian TV Awards, New York Festival Awards, and Prix Jeunesse in Munich, Germany.